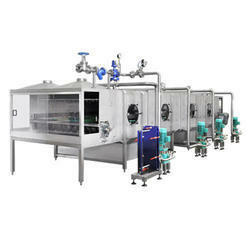 Being the leading names in industry we are involved in offering to our esteemed clients an exclusive range of Pet Bottle Cooling Tunnel Unit. These are manufactured using high grade steel and latest technology to render maximum client satisfaction. Offered products are highly acclaimed among our clients due to their user friendly nature, durability and feasible prices. Being a client centric firm we are involved in offering an excellent range of Mineral Water Bottling Plant. These are developed by the industry experts who have years of experience in this field. In addition to this, these are highly appreciated among our clients due to their superior finish, resistant to corrosion nature and competitive prices. 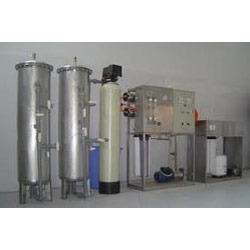 Looking for Water Bottling Plant ?